2007 turned out to be the year of the Digital SLR, just as many predicted. Industry shipments confirm the huge growth in Digital SLR sales in 2007, and that growth continued through most of 2008. Many believed the slowing economy would have no impact at all on the growth of DSLR sales; however, the last couple of months have seen lower growth than expected. That news means there will be many bargains in current Digital Camera models over this holiday season. Year-end is always a time of bargains, but they are usually last year's models. This year you will likely see sale prices on the latest and greatest. That's good news if you're in the market for a new digital camera this year. There are also bargains galore on low-end point-and-shoot digital cameras. As prices have fallen on DSLR cameras it has pushed the P&S prices even lower. For the first time we've found a couple of point-and-shoot cameras we can easily recommend that are selling for around $100. You will also find recommendations for good values in the Superzoom category. Bigger sensors (larger size, not higher resolution) are coming to the P&S market and that development is already having an impact. We have also been enjoying our time with the new micro 4/3 Panasonic G1. This interchangeable lens digital is not an SLR, but it is likely to become the poster child for what's coming in the midrange "DSLR" and Point-and-Shoot space. Very few things are truly revolutionary in electronics, let alone the slower paced digital camera market. 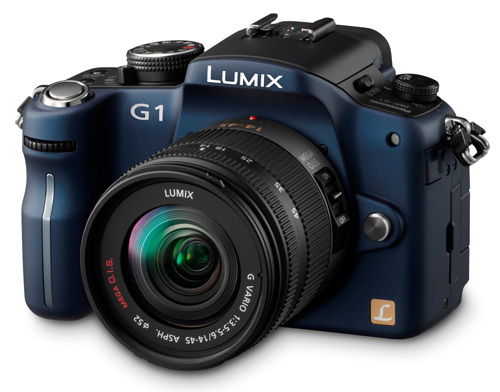 The Panasonic G1 is truly revolutionary, as you will see in our recommendations in entry and midrange interchangeable lens cameras. With the introduction of the Nikon D90 and Canon 50D, the advanced amateur or "prosumer" market is finally complete for a few months. This recommendation always generates the most comments as buyers loyal to one camp or another question our picks for the buyer's guide. With so many competent DSLRs in this segment this year, the choice was difficult. With the three biggest players all with full-frame (35mm size sensor) models at the top, it should be crystal clear that our prediction last year that full-frame become would become the camera of choice in the pro market has certainly come true. It happened even faster that we thought, and there are now 5 full-frame DSLRs with more on the way. 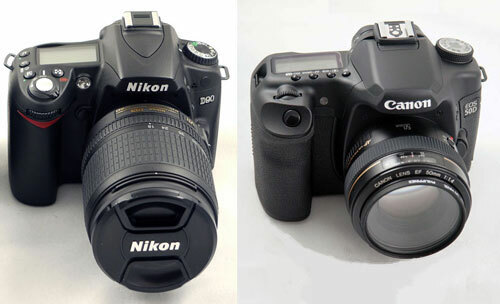 Three very different models now compete at $3000 or less in a market first carved out by Canon. It's fair to ask if anyone can price a full-frame DSLR at $8000 any more? If you are shopping for a digital camera but you're not really a photo hobbyist, you might want to start with our overview of digital photography in Digital Photography from 20,000 Feet. If you want to delve a little deeper you really need to know more about the digital sensor, an analog device that is the heart of any digital camera. Take a look at our two part series on the Digital Sensor in The Digital Sensor: A Guide to Understanding Digital Cameras and The Digital Sensor: Part 2. Anandtech is not where I'd get my camera purchasing advice from. Not only do they routinely miss the best cameras in their round-ups and recommendations, but there are so many dedicated photography and camera websites with much better reviews and content. Thank you first poster for mentioned the Lumix LX3. I am looking to buy a high-end point and shoot for our honeymoon. I think this is the one to get. Did you guys actually use these cams, or read a bunch of reviews around the net and summarise their conclusions? Simple things like how the Nikon bodies have auto ISO. Lets say you're wandering around town in the middle of summer - obviously you'll be using ISO 100-200. What if you want to suddenly take a shot down a dark alley, or inside a building? On body without this feature you make a hash of it due to forgetting to knock up the ISO. Nikon does it for you. I believe this feature is slowly leaking into other (not Canon :() bodies too. Or how the 'prosumer' bodies have dual command deals, useful for setting both aperture and shutter speed at the same time, etc. They also allow for bracketing of exposures, another useful feature - especially if you want to mess around with HDR. No mention of the difference between in-body and in-lens image stabilisation? Its more than just the manufacturers posturing over which offers the greatest benefit - in-lens stabilisation means what you see through the view finder is what you get. With in-body and a long tele, the image may be going up and down so you're not neccesarily sure exactly what you're going to get. A small difference, maybe, but makes a surprising difference. You mention battery grips, but to the new user a battery grip means nothing. Do you need one, what's it for, how does it help? And of course different bodies get different advantages from battery grips. Talking about batteries - what about battery life? How about turning the body on & off to save battery life. Start up time, shutter lag, etc. etc. You make a lot of fuss about noise, resolution etc. But no sample photos so people can see the difference. Unless you pixel peep, the majority of these differences are actually difficult to see. Shooting in RAW and using certain pieces of software like DXO or Noise Ninja can remove the issue entirely. Some people will prefer the noise reduction of Sony bodies, while others will prefer Canon. A subjective 'noise is worse with X' should at least be qualified. Before I saw sample images for Pentax I would have thought Pentax was rubbish at 1600 or above. It's actually no where near that simple because the Pentax images still retain a lot of detail and if you don't mind grain for detail - then you'll prefer Pentax! I certainly wouldn't be that bothered since if you want a clean image at night you can just use a tripod and shoot at ISO 100. I suggest next time doing something like dpreview and take these cams out in the field for a few days (they spend about 14 days). Get to know how each handles, then you'll be able to comment on more than just focus speed, megapixels and how pretty the LCD is. The most important part is how the body handles. If you can't take photos without the camera getting in the way - then there's a problem. It's just a tool, the end result is all that matters. I don't mean to come off with a scathing comment - but I do believe an article should be more than just an opinion based on a few observations. It's so easy to write a balanced article on the big SLR manufacturers because they all have their own positives. 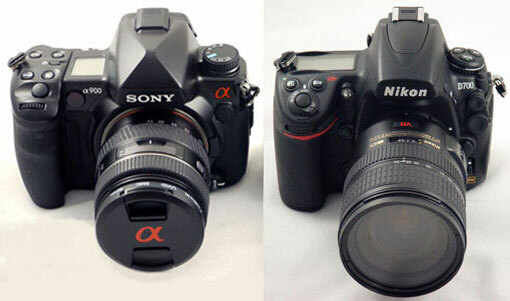 Sony (apart from the A900) are consumer friendly with their in-body stabilisation, and heavy focus on live view. Canon are great for the technically minded with their extensive feature sets, and wonderfully priced lenses. Nikon are the guys to go with for great high ISO performance, and tend to be more of a 'photographers' camera. Pentax offer massive price advantages, in-body stabilisation, and a brilliant sensor in the K20D. (For other people reading this) The very best advice I can offer is to go into a shop like Jessops and handle each of the cameras yourself. Take an SD and CF cart, take some photos. Get a feel for how to change the exposure, aperture, shutter time, etc. Make sure exposure is easy to change - you'll use that a lot even on a compact. Can you preview the images quickly and easily? Does the preview function let you see info about the photo, specifically histograms or flashing over-exposure highlights. When you handle the bodies you'll find one 'feels' right. That's the one you want - otherwise you'll waste your time with settings than taking photos. If a feature you want isn't on the body you like - don't worry, it will be in the future, and by then you'll have a nice collection of lenses to use on it. If you go into a small specialist shop (like Bristol Cameras in Bristol) they'll let you go outside and give it a go. This is a Holiday Buying Guide, not a review. It is a summary of information previously published in reviews and roundups. Please click on the Digital Cameras tab if you wish to see any of our camera reviews – complete with sample photos - and digital sensor technology articles. Auto ISO has been an ongoing feature on Sony, Pentax, and Olympus prosumer bodies - everyone except Canon until they recently added it. In fact some of the other implementations of Auto ISO are much more flexible in my opinion than the Nikon version. ALL the prosumer models similarly feature several varieties of bracketing adjustments, but the low-end Nikons drop that feature. Sorry to burst your bubble but the Pentax, Sony, Olympus and Canon bodies ALL 4 feature dual command dials on prosumer models, and the Pentax Hyperprogram and Sony Program Shift are much more flexible and useful than the Nikon implementation. Great high ISO performance is recent to Nikon, and the result mostly of the D3 and D700 which were introduced about a year ago. Until that point high ISO and low noise were owned by Canon CMOS sensors and Nikons generally used CCD sensors. There is no long-term history of Nikon performing better at high ISO with lower noise. Sony also manufactures almost all of the Nikon sensors and they are the most likely mfg of the D3/D700 full-frame sensor. Please re-read what I wrote, I didn't say Nikon were the best by any stretch - or that they're the only one that offers various features. Dual command dials are not present on the budget bodies. I said the prosumer models (not mentioning Nikon, or any manufacturer) feature dual dials, while the budget models generally don't. You just said the same, but are attacking me for saying it? I also didn't say Canon didn't use to have the best ISO previously - I was talking about current bodies out right now. Each has their own advantages right now, being you know, positive about all the brands rather than sticking with one brand. Right now Nikon have the best ISO performance, you agree with this yourself. The Canon 50D has lower ISO performance than the 40D - so should I therefore say in 5 years time when, say, Canon have the best ISO performance: 'Oh Nikon offer the best ISO performance because 5 years ago Canon actually reduced their ISO performance, their history in this field is poor'. No! I would say Canon have the best ISO performance. Interestingly CMOS/CCD doesn't make as big a diff as you would think. For example, medium format digital backs are almost exclusively CCD. Your other comments are exactly what I would have liked to have seen in the article - real life examples of what its like using the bodies. The pros & cons of using them, etc. Not just a focus on megapixels, ISO performance, and the screen. As you're mentioning there's plenty there to talk about. If I was buying a new camera I would want to know the differences, whether it would matter to me as a reader, or if its just the latest marketing rhetoric that can be ignored. For example, from the article, if I didn't know much, I would still wonder what a battery grip is, and why it is important. Again I didn't mention Nikon were the be-all and end-all, just that's the system I use most and obviously base my experiences from it. But I still fail to see where I said Nikon offers all of those features and the others don't. In fact I only mentioned them a few times. Obviously I don't have the experience with the other bodies - that's what articles like this are meant to make up for imo - by saying what's better than the other, what camera is probably best to get and why. Rather than say I'm rubbish for not having a whole host of bodies here to test, why not take this as (hopefully) constructive criticism and run with it? They're your articles, you're more than welcome to completely ignore my comments. I think the best example would be when you were gushing over the Olympus cameras in an earlier article. From the article it just appeared like you were a fanboy / bought by them. Later on in the comments where you provided a lot more useful information it became clear just how great the system was and why you gushed over it so much. It shouldn't be the comments where the actual useful info is - it should be in the article for all to see! I think rather than spend the money to build a testing facility or pay a larger research staff, Wesley and AT should focus more on organizing and presenting the info that already exists on competing review sites. 1. I agree that digital zoom is totally worthless, as I think most people would. However, being it's worthless, don't bother mentioning the Canon's digital zoom as being better then most. You're contradicting yourself. 2. For the truly price sensitive the $150 price of the Canon is not just over $100. I would argue the $115 price of the Finepix falls more into that category. Thanks for the constructive criticism. I understnad your point about the Canon digital zoom, and certainly I agree. It is just that the Canon digital zoom does more than just enlarge or crop the image in digital zoom. It appears it also changes the image processing and does actually provide a better image than most digital zooms, which are, as we both said, basically worthless. The ZuneCam is running about 6 months behind schedule. You people may have to buy one of these things if you are in a rush.